Your contribution is vitally important to the work we do to preserve Lebanon Hills Regional Park and other urban natural areas for ourselves and future generations. Supporting members will be added to our email list to receive our informative quarterly newsletter and other timely notices. In addition, at our annual meetings, supporting members are eligible to vote on issues that help guide our efforts. 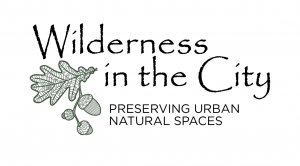 Wilderness in the City is a 501c3 non profit — all contributions are tax-deductible. Joining our email list is the best way to stay informed and learn about pending decisions on issues that may impact the future of Lebanon Hills and other urban natural areas, and how you can take action. By adding your name, you will receive our informative quarterly newsletters and other timely notices. We respect your privacy, and we will never share or use your email address for other purposes. To join our email list, simply complete the form below or send a request to wildernessinthecity@gmail.com.